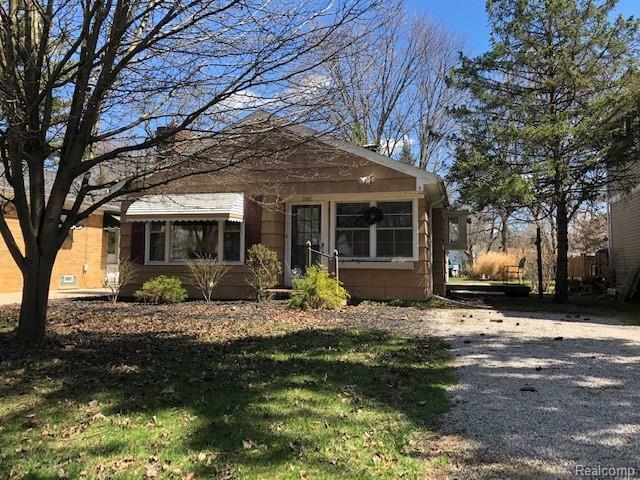 Roses are red, violets are blue, this cute Grosse Ile home needs nothing but you! A TON of home is packed into this move in ready 2 bed/1 bath CLEAN ranch! All applicances stay, newer furnace, roof and air conditioner! No need to worry about storage with a pull down attic and a large 18x12 shed. This island gem is located on a quiet, dead end street with charm for dayyyyys! If you have your check list, get ready to start checking some boxes. Tankless hot water heater, gas fireplace in living room, ceiling fans and window treatments are covered! Large shade trees abound outside. Small trex deck off the side door leading to a deep lot. This one will not last long so schedule your showing today!